How can you not have this on your pedalboard? It's a classic! You love the sound of an overdriven amp, right? Well, sometimes, it's just not feasible to turn way up and get those power tubes cooking. 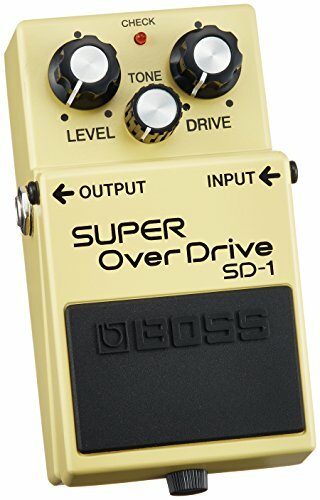 That's where Boss's ultra-affordable SD-1 Super OverDrive pedal comes in! You can dial up everything from subtle grit to smooth, sustaining lead tones with this little wonder. And, best of all, you can control how much overdrive you get by altering your picking attack — just like you would with an overdriven tube amp!